An open rate refers to the proportion of people who were on an email list or campaign that viewed (opened) the email. This is expressed as a percentage of the total number of emails sent. There are six key factors that influence email marketing open rates. You can also set up autoresponders which allows you to set up a series of emails automatically sent to prospects in the order and frequency that you decide. These include newsletters and promotional emails. Familiarity with the sender of the email. We are more likely to open an email if we recognise the sender’s name as someone we trust to provide relevant information to us. Avoid changing your email address that you send emails from so that recipients get used to seeing the same address each time you mail them. To improve your reputation review the quality of your emails to ensure they are engaging and interesting for subscribers. Check that they are not boring, overly salesy, of inconsistent quality or create any negative feelings towards you for any reason. An engaging heading. The subject line may be the only thing that we see when we receive an email and so it needs to grab our attention to encourage us to open an email. A good headline should create a sense of intrigue, suspense or curiosity to tempt recipients to open the email. You can further improve you subject line by including one or more piece of personalised data you hold on prospects to grab their attention. Personalisation is a powerful weapon in your armoury if used appropriately. Level of urgency. The more pressing or urgent something appears to be the more likely we are to respond to it. Periodic use of limited offers and flash sales can help create some urgency and encourage more prospects to open your emails. Time of day. We are creatures of habit and often tend to check our emails at certain times of the day. This is why it is important to segment your lists by open times so that you deliver emails to a person close to the same time that they had previously opened an email. Presentation matters. It is important that your emails use a professional and well-designed template as this can help create a positive perception of your organisation and encourage recipients to open your email. Subject line – It is engaging and does it raise any concerns for a recipient? Size – Keep it short so that it can be quickly reviewed. Attachments – Avoid attachments because people are very concerned about viruses and phishing scams. Attachments also take additional time and bandwidth to download. If you need to share a file use a link and use a file sharing service to host the file so that others can access it. Pre-header – The content in the very top line of your email is often displayed after the subject line when an email is viewed in the inbox. This provides you with a second chance to persuade your subscriber to open your email. Preview pane – Recipients will often view your email in a preview pane which allows them to see a small section of the top of your email. 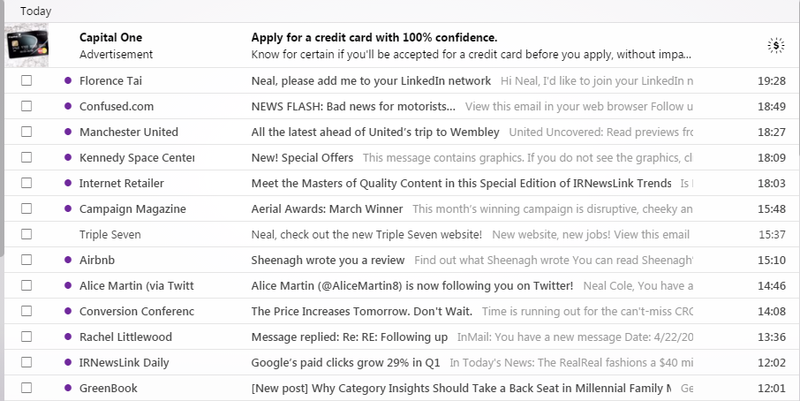 Capitalise on this by including more intriguing copy to make prospects curious enough to open the email. Finally, it is also important to cleanse your email lists on a regular basis to maintain the quality of your contact list. Otherwise your open rate will fall due to your list quality. Use an email address verification solution to prevent this becoming a problem. Email verification – 13 email address verification solutions to boost conversions. Improve email marketing – 4 ways to improve your email marketing conversion rate.